Now it is easy to add detail to your cake decorations. 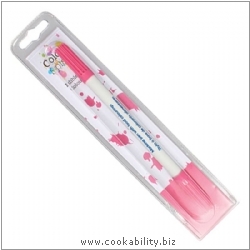 Double sided pen 2.5mm for regular work and .5mm for fine detail. Quick drying and edible.